Made from soft 5 oz. 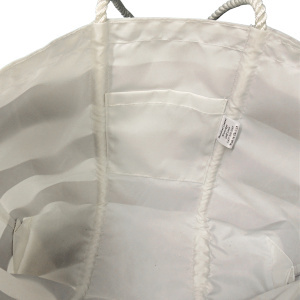 sailcloth, this spacious tote measures approximately 15 1/2" x 13" x 4" with an inside pocket. Extra strong with 2 layers of sailcloth and 3 strand spliced rope handles. 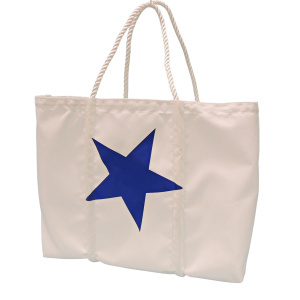 Embellish your bag with your choice of an anchor, ships wheel, star or stripes in red, blue or green. We make them here in our canvas shop, Mainland Canvas, in the USA!